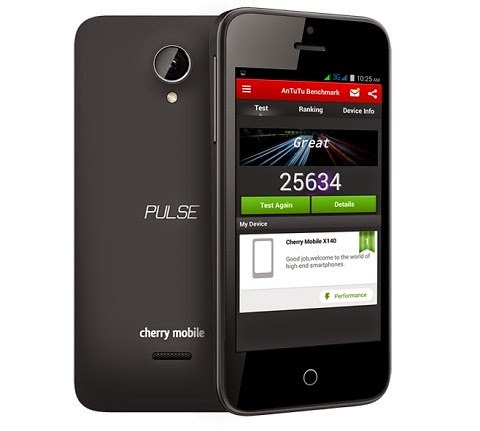 Cherry Mobile Pulse is now official. The local outfit has strike another budget octa-core phone that is up for users productivity needs. Aside from the speedy processor, the Pulse also boasts a 5-inch 720p HD Dragontrail display. Other hardware includes a gig of RAM and 8-gigabyte of on-board memory that is expandable up to 64GB. For photogs, you have the capable 13-megapixel rear shooter and 5-megapixel front camera. The HSPA+ will also give you faster 3G speed to reinforce the 1.7-gigahertz octa-core runner. In a practical price of Php 6,499, you'll also get the famous double-tap-to-wake feature from LG G2.